Now Available For Immediate Move In. $45 Application Fee Covers All Adults. Beautifully Remodeled Ranch Style Home With An Attached 2 Car Garage! Updates Include Brand New Kitchen With 42'' Espresso Cabinets, Slow Close Drawers, Granite Counters And Gorgeous New Porcelain Tile & Brand New Stainless Steel Appliances! Refinished Hardwood Flooring In The Living/Dining Room, Newer Interior Doors+baseboards+trim Throughout, New Lighting & Plumbing Fixtures, Bathrooms Are 100% Remodeled, New Roof, New Full Size Washer And Dryer. New Blinds And Freshly Painted Throughout! Full Unfinished Basement Offers So Much Storage! Located In A Nice Quiet Neighborhood! So Nice! 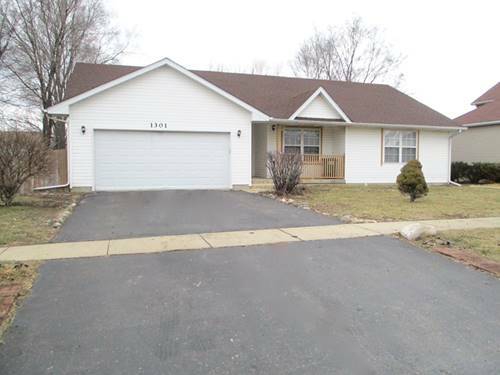 For more information about 1301 Primrose, Harvard, IL 60033 contact Urban Real Estate.